Article written by Theodore Loy Tom. As a native San Franciscan who was born and raised in the Bay Area it was my pleasure to host my cohort for a day in Berkeley. It was a fun packed day that showcased the best of Northern California – amazing food and delicious locally made wines. We first started off the day by going to the Farmer’s Market at Lake Merritt. This is a very popular event to go to on a Saturday morning, with people from all different walks of life coming together to enjoy live music, purchase produce directly from farmers, and enjoy food at different food trucks. While looking out to the lake we enjoyed Spanish roasted chicken and potatoes, Himalayan Momo dumplings and freshly brewed coffee. Some say that you can travel the world through your stomach by living in the Bay Area, I would say that is quite apt. After enjoying a great lunch at the Farmer’s Market we then headed to Donkey and Goat Winery. Located right in Berkeley they are a husband and wife owned Winery that focuses on natural wines – where no sulfites or preservatives are added to the process of developing the flavors in a wine. We first started off with a quick lesson on wine tasting and theory by the staff, for some it was their first wine tasting and they absolutely loved learning how to experience wine through smell, sight and taste. 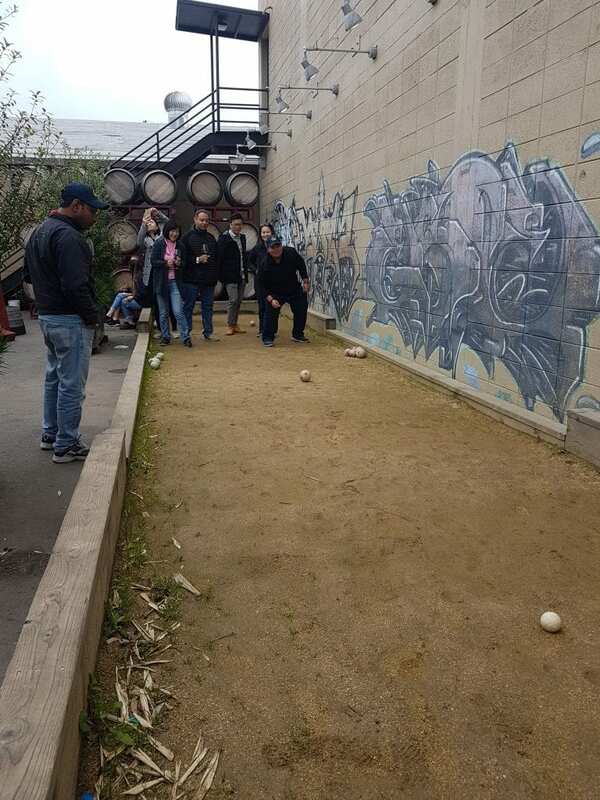 We then enjoyed the rest of the afternoon by trying different wines while playing bocce ball and the Fellow’s favorite game – Jenga! Typical for a Bay Area afternoon there was some light rain but it didn’t stop us from having a great time together. 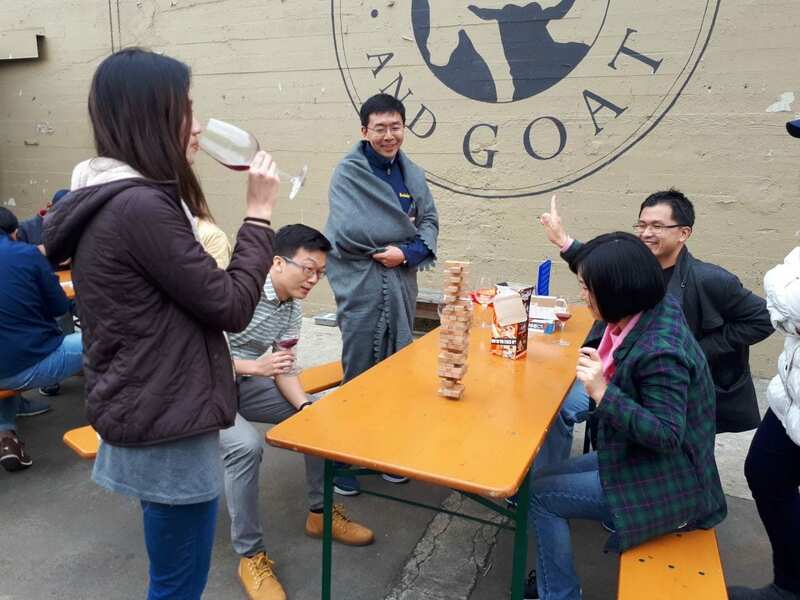 Great wine, fun activities and an amazing cohort, just another day in the life of the Nanyang Fellows.